Limited space is available in all classes. If interested, click here to complete a form and someone will contact you with more information. Introduction to the design, creation, and maintenance of web pages and websites. 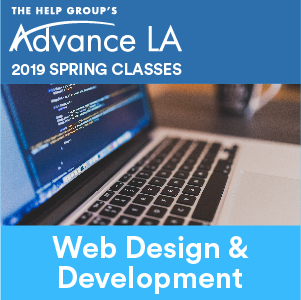 Learn how to critically evaluate website quality, create and maintain quality web pages, learn about web design standards, and create and manipulate images. Class will progress to a final project designing and developing websites for a cause or interest of choice. 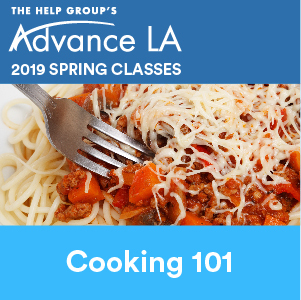 Enhance your knowledge and culinary skills by joining Advance LA for this fantastic 6 week class series. Learn basic cooking information, skills and techniques as you prepare and enjoy a variety of delicious meals with friends. Calling all Board Gamers…. 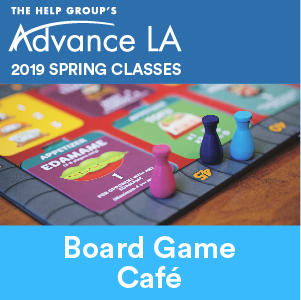 You won’t want to miss this new, weekly social evening playing modern, strategic thinking games like Ticket To Ride, Carcassone, Sushi Go Party and more! Come meet new friends and enjoy a lot of laughter and fun. Join with peers in this popular, active, social activity. 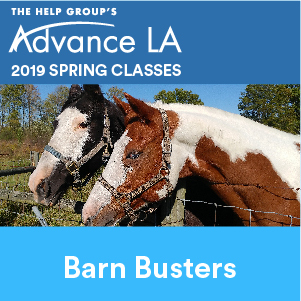 A unique skill building/vocational horsemanship class that combines learning, riding, and work skills to prepare for employment at a horse ranch or therapeutic stable. Love the stage? 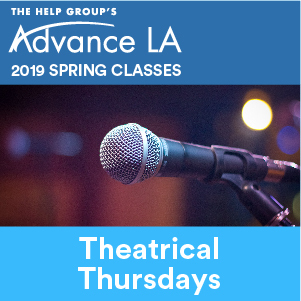 The Miracle Project joins Advance LA for an exciting new acting and improvisation class. Develop your acting skills and experience the laughter of improvisational comedy in a fun environment with friends. Designed for all experience levels. 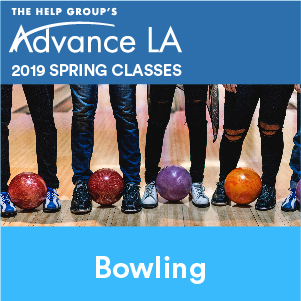 *Young adults must be able to participate independently in class, without additional staff or parental support, and be able to communicate with and relate safely to peers.